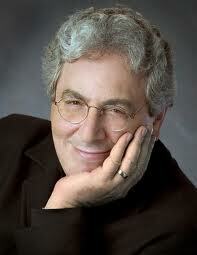 Very sad to hear that funnyman, writer/director Harold Ramis has died. He was 69, the Chicago Tribune says in the story on his death. Interviewing him several times over the years, he always came off as a mellow sort, very much like the guy we say in “Knocked Up,” playing Seth Rogen’s dad — sweet, kind, tolerant. I remember him talking about the role he fulfilled in the “Ghostbusters” line-up, that point guard feeding the ball to Bill Murray. He is the screenwriter responsible for bringing fraternities back to popular approval among college kids with “Animal House.” His scripts (“Stripes,” “Meatballs’) made Bill Murray a star, and padded Chevy Chase’s bank account (“National Lampoon’s Vacation.”). But to me, he’s the guy who figured out that ingenious use of “I Got You Babe” in “Groundhog Day,” a song playing on a clock radio that begins as a joke, turns into a taunt, morphs into a mournful place and then rings, as Murray’s character reforms enough to “get it,” into something triumphant. 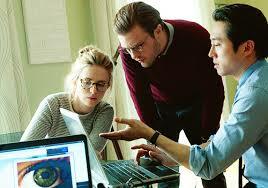 Very sorry to see Ramis go. He was a good one.